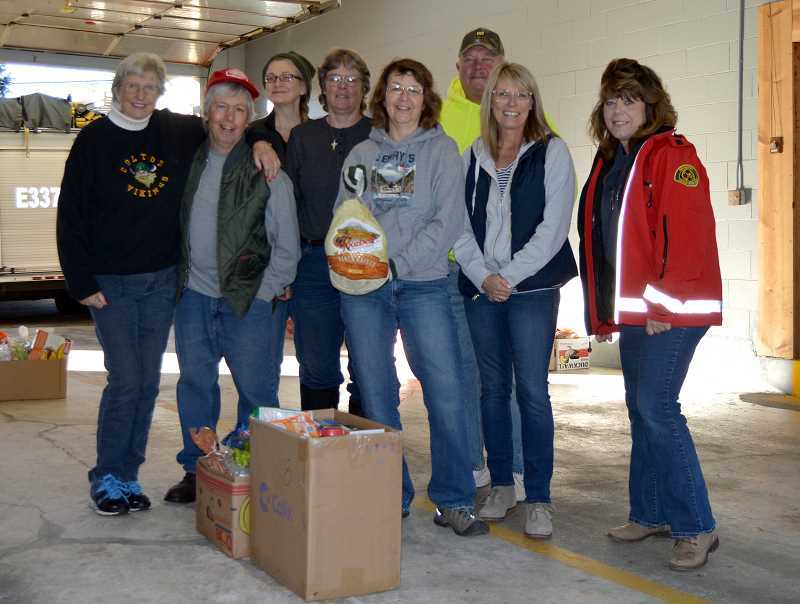 Colton Aid Network put together Thanksgiving food boxes on Saturday, Nov. 17 at the Colton Fire Department to help those who would do without during the holidays. The boxes benefited 102 members of the community including 48 children. They were filled with all the traditional holiday foods including turkey, stuffing, fruits and vegetables and even pumpkin pie. Non-perishable foods and cleaning products were included in the boxes to help fill the cupboard for the weeks to come. Larry Benthin, Brian Benthin, Dana Howe, Tara and John Graves, Kelly and Carl Stephens, Michele Axmaker Chapman, Ron Norton, Jeanette Norton, Cindy Fama, Gary Benthin, Aaron Marlow, Charles, Feth, Priscilla Ascencio, Aaron Petry and Andrea Schrosk assisted with sorting and packing the boxes. Colton Aid Network said they want to especially thank Colton Café and Canyon Creek Church for their generous donations. Colton Aid is getting ready for the Christmas season. 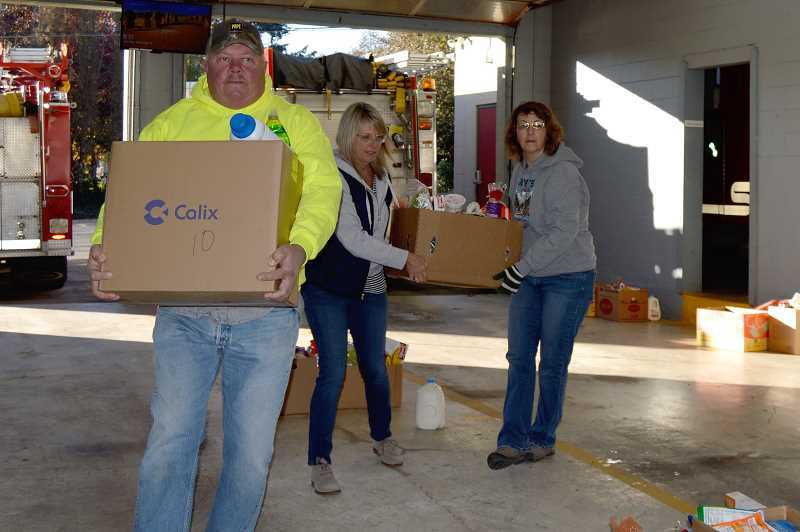 Sign-up forms, which need to be returned by Dec. 13, and Gift of Giving tags for the children will be available at Coltontel, 20983 South Highway 211, and the Colton Fire Station, 20987 South Highway 211. Helping a family with presents for their children helps them stretch their budgets and not have to choose between heat or food and presents. The children have a space on the cards to ask for what they want. This year, a Colton High School senior asked for food and clothes and a 6-year-old asked for underwear and maybe a new pair of pants. These two cards have been chosen by community members, but there are more and more coming in. If you can help these families, please pick up a card and return the present unwrapped to where you picked up the card by Dec. 18. Non-perishable foods and monetary donations can be dropped off at either site.